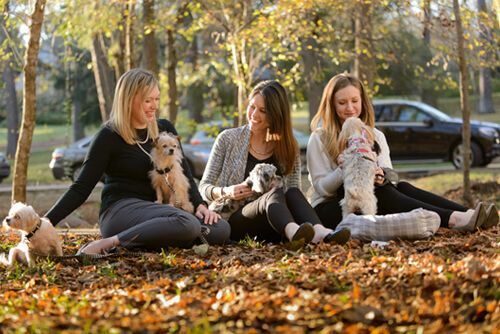 Based in Birmingham, Southern Veterinary Partners (SVP) is a mission-based veterinarian owned and operated regional network of animal hospitals in the South. Our mission is to be a community of veterinary teams providing personalized care with exceptional hospitality. SVP provides centralized support including marketing, HR, finance and inventory and purchasing management and enhanced benefits to the team members. By leveraging its infrastructure, SVP allows the hospitals in our network to focus on medicine and their patients to facilitate best-in-class veterinary services and exceptional client experiences. The hospitals retain their names, culture and local commitment to their communities as well as veterinarians and staff that provide their clients with high-quality veterinary care. Southern Veterinary Partners has been named to the Inc. 5000 List of "Fastest Growing Companies in America" (#235 in 2018) and the Birmingham Business Journal's "FastTrack 30" of the Fastest Growing Companies in Birmingham (2017 & 2018), plus was named a "Top Tiger" by Auburn University for the fastest growing companies led by Auburn University alumni. Southern Veterinary Partners is an Ideal Partner for Animal Hospitals in the South. Given Southern Veterinary Partners is based in Birmingham, Alabama, and our management team’s ties to the area; Southern Veterinary Partners is uniquely positioned to serve as the ideal partner for animal hospitals based in the South. With a deep knowledge of best practices and a local presence, we can provide onsite support and assistance whenever needed. We understand the importance of culture and community and work to maintain the culture an owner has established.